How to Climb Rooftops in High School Simulator? 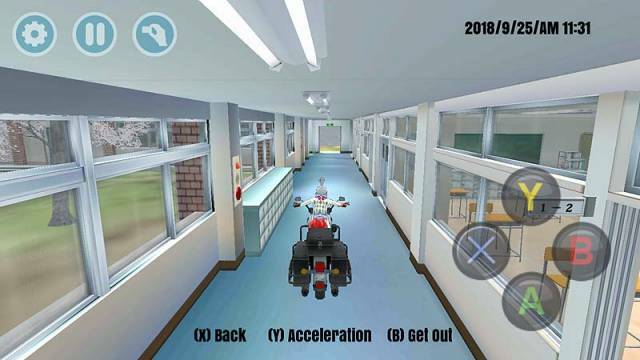 Where to Find Vehicles in High School Simulator? How Do You Unlock Stuff in High School Simulator? How Do You Teleport in High School Simulator? What Activities Can I Do in High School Simulator? 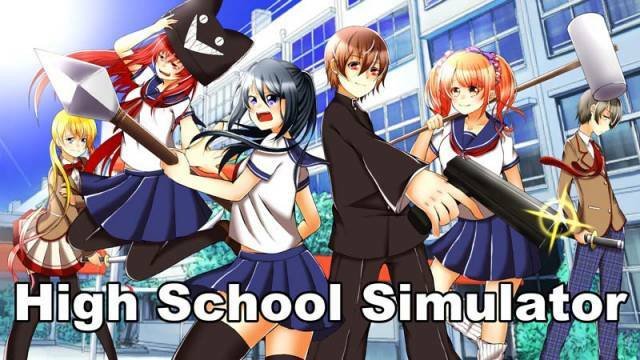 High School Simulator 2019 is the latest version of the crazed anime-style high school life simulation game. For those that are not familiar with the game, it is basically a simulation game where the player gets tossed in a small anime-themed world without any particular instructions or objectives. You might be wondering -- if so, what is even the point of playing the game? Well, for starters, you get to do a killing spree with the different Weapons you can easily pick there. you can also loiter around and check for stuff, find Vehicles you can drive around, play various ball games, check for different clothing / fashion, or just fly around and check the limits of everything there is to find in the game's world. Truth be told, there isn't much to do in the confined space given to you. However, the game somehow gets a grasp at you, and makes you want to just hit the replay button and push for the game's limits -- figuring out what else you can do there. For instance, we've challenged ourselves to get a vehicle to climb the rooftop of the school - and by far, we've manage to bring it to the second floor. You'll also be amused towards having different reactions from NPCs there, or find out which building has the highest vantage point when using the Infinity Jump. The game is also powered by a unity engine - which gives you the basic package of a 3D game. You'll have control over your character and have it move around in any direction you want, as well as the option to adjust your camera view. Its got in-game buttons to help your character perform a jump, crouch, one that is mainly an access button, and another one that mainly serves as the cancel button. 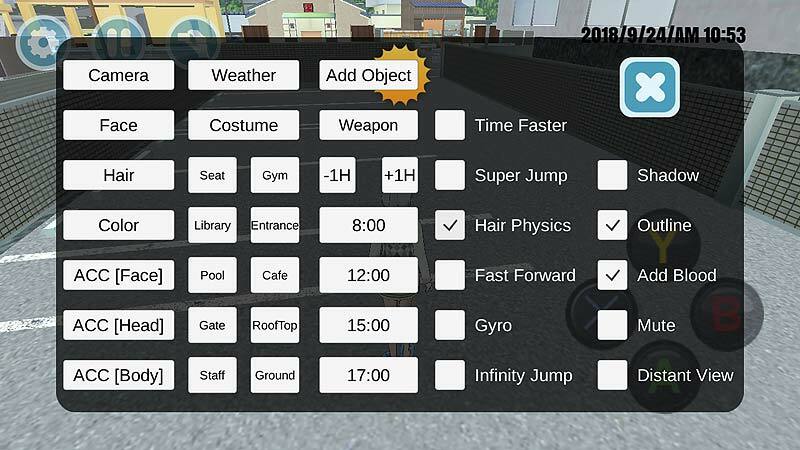 Additionally, the game has its own hack tool on-board -- giving you the option to instantly teleport in select spots, change your outfit, access different weathers, enable a super jump, and fiddle around with the physics of stuff within the game. Truth be told, you'll end up wanting to check the game just to see the limits of what you can do there. To help you out figure some stuff, we've listed some that might interest you. Welcome to the guide!